I remember when Tsuburaya Hiroshi of Uchuu Keiji Shaider passed away because of liver cancer. I wasn’t exactly surprised but I mean, come on, this guy was THE space sheriff. He couldn’t be dead! And now… well, we have another one sick, but thank heavens not dying. 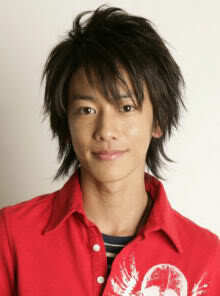 Sato Takeru a.k.a. Kamen Rider Den-O recently revealed on his official blog that he was taken to a hospital when he complained some chest pain on Thursday. He was diagnosed with pneumothorax so the doctors had to open a hole in his left lung to let air escape. The condition was not too serious and Sato has been ordered to rest for about ten days and will continue to receive medical treatment after the recovery period. I guess no matter how formidable their TV counterparts are, our sentai heroes are human and prone to illness like any other dude out there.